Although Spatial Citizenship Education calls for real life-oriented and context-based teaching and learning within cooperative learning environments to foster students’ participation in society, a corresponding didactic strategy has not so far been integrated into pre-service teacher education. 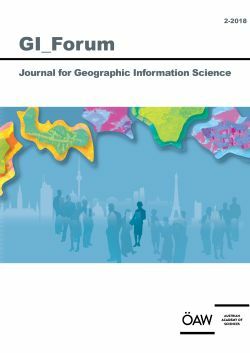 This article therefore describes the implementation of the service learning approach into a project module in geography teacher education at Goethe-Universität Frankfurt am Main. The module allows students to participate in authentic, experience-based learning using digital geomedia, and covers aspects of children’s and adolescents’ spatial socialization in cooperation with educational and municipal institutions at local level. Our action research on the recent implementation process shows that the new, action-based learning environment increases students’ content knowledge as well as their technical and pedagogical skills. Furthermore, it prompts a positive change in students’ perceptions of, and perspectives on, the social-spatial action routines of children and adolescents. Discussing the potentials of service learning for Spatial Citizenship Education in pre-service teacher education, we argue that service learning is a suitable strategy for vital geographic learning in relation to society and civic participation.